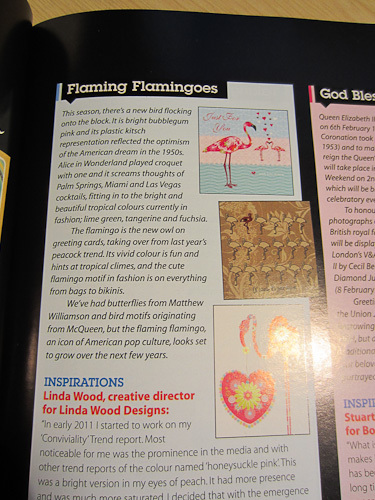 Gellie Design is really pleased to see our Candy Swizzle Flamingo card (Code:CS07) is featured in this months Progressive Greetings magazine on page 31. Looks like we’re starting a new trend!!! Check out the stunning Candy Swizzle card range here…Clicky!